My May 99-Cent Sale continues! Every week of May, I'll be lowering the price on one of my books to 99-cents, starting on Sunday. On the following Sunday, that book will return to its usual $2.99 price, and another book will go down. In addition, in case that's still not enough incentive, I'll be making the sample book free for the first two days. You can read the first part for free, and if you like it, it's only 99-cents for the full book. This week's sale will be for my comedy/adventure, Toons. The first book is only 99-cents, down from $2.99. If you still aren't convinced, you can download the first part for free today and tomorrow. Even if you're not planning to read them, you can still help me out. I would really appreciate it if you spread the word through social media. I've even written the copy for you: just cut and paste the following during the specific dates. Nigel G. Mitchell is having a 99-cent sale! 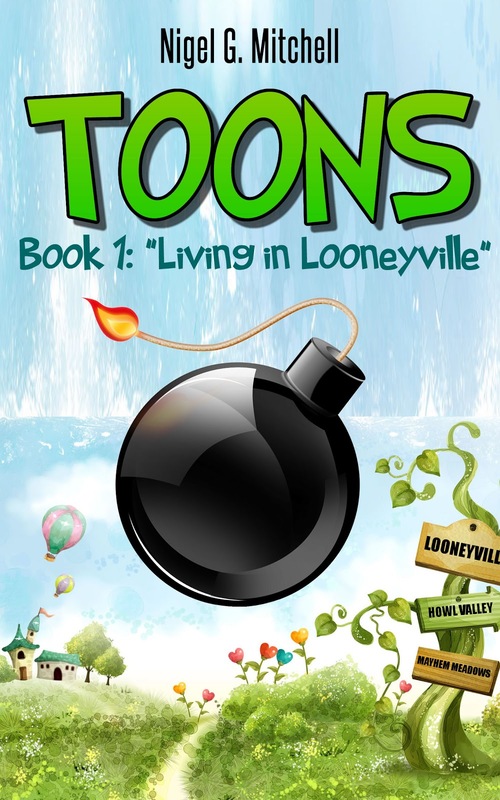 His comedy/adventure novel TOONS is only 99-cents from 5/12/13 - 5/18/13 at http://www.amazon.com/dp/B00BR9JWZC. You can download the first part free from 5/12/13-5/13/13. http://www.amazon.com/dp/B00BIN0KWG. Spread the word! Next Sunday, I'll be dropping the price on Man Overboard and Other Stories. Stay tuned.